Main Stage: 22 Aghiou Konstantinou Str. - Rex Theater: 48 Panepistimiou Str. The National Theatre building, designed by Ernst Ziller, stands in Omonoia Square, in the «heart» of Athens. The Ziller building houses the Main Stage and the “N. Kourkoulos” Stage. 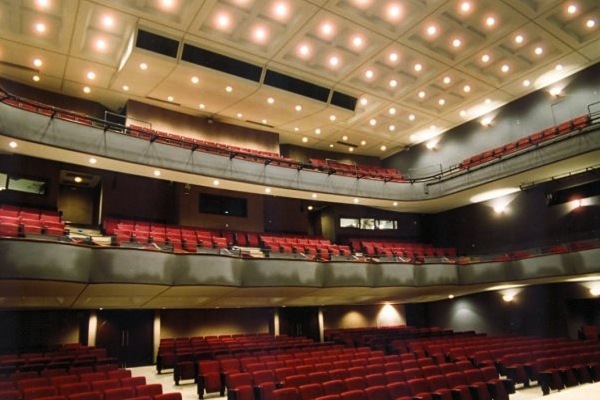 The National Theatre also owns a second building in the city center, Rex Theatre, where it houses the “Experimental Stage (-1) – K. Paxinou” and the “M. Kotopouli” Stage.